A round sterling silver pendant with a circle representing the never-ending circle of love and a little heart embossed inside. 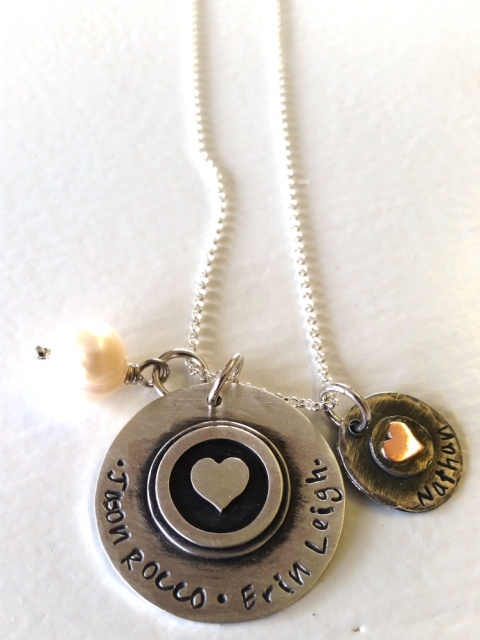 Hung on a sterling silver chain of your choice, finished with a freshwater pearl. Add a small hammered charm as a finishing touch. Notify me when 45cm fine oval link chain Embossed Heart in Circle Pendant is available.